At the end of 2015 a report titled ‘Dropping off the Edge’ identified Claymore as the most disadvantaged suburb in NSW with little to no progress having been made since the last report in 2007. While children (aged 0-18 years of age) make up 48% of the Claymore population, they have the weakest voice and are susceptible to a wide range of intergenerational disadvantage and poverty factors that affect the quality of life and future prospects for children and young people in this area. Significant social disadvantage are preconditions for chronic unemployment and persistent intergenerational disadvantage and poverty, leading to sense of helplessness and feeling trapped in a never-ending cycle. YAC programs aim to break this cycle by employing young people from disadvantaged backgrounds and empowering them to advocate for and to be role models in the process of positive change within their communities. increase youth advocacy within their own community. Young People represent a large percentage of the overall population in Claymore. The YAC enables young people to have a voice on issues that affect them and is vital to ensuring young people’s needs are understood and heard by the wider community. YAC members are empowered to be active participants and drivers of change in their community. Youth Advisory Committees are created in areas where the community has identified that young people, whilst making up a significant portion of the population, have the weakest voice. By creating YAC, Save the Children is aiming to break the cycle of entrenched disadvantage through providing young people with the opportunities and skills needed to succeed in formal employment. Empower young people to advocate for and effect positive change in their community. Equip young people with life skills and cultural values to respond positively to risk and adversity. Provide young people with employment skills and certified training to ensure successful futures. Employ the young people as peer mentors and Junior Youth Workers to other children in other Save the Children programs. 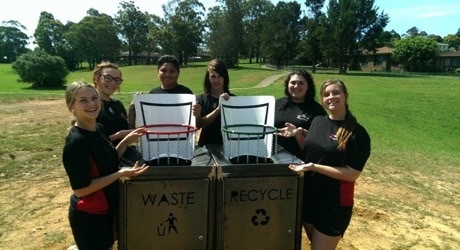 The Save the Children Youth Advisory Committee are recognised as peak advocacy groups for Young People and advise on youth related issues to a range of community and NGO partners including Youth Off the Streets, Mission Australia & The Benevolent Society. The Claymore YAC also attends local interagency meetings in Claymore to advocate for youth-specific programs in their area. 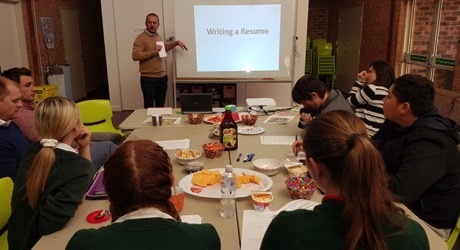 Youth Advisory Committees are part of Save the Children Strategy Focus 2016-18 where we are working with disengaged youth and increasing their pathways to education and employment.